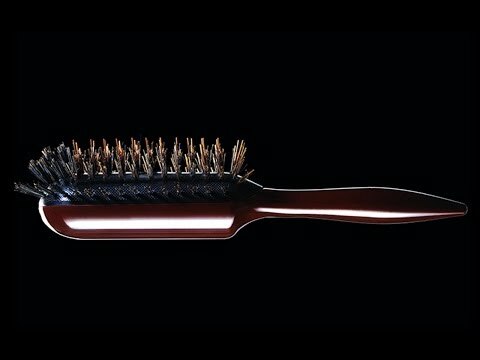 The Groove Voyager combines boar and ionic synthetic bristles to provide premium hair care. The brush features an ergonomic handle and gives your hair a boost in silkiness and shine, while making it easy to style all hair lengths. Dimensions: 8.5" x 3.5" x 2"
Very easy to use! My hair has never looked better!! Light weight and helps blow drying my hair less stressful! THIS BRUSH IS PERFECT FOR MY HAIRSTYLE. IT. FITS MY HAND PERFECTLY. IT CLEANS EASILY & DRIES FAST. WILL PROBABLY BY ANOTHER ONE FORTHER ONE FOR TRAVELLING. Tame it, flip it, curl it under. With these styling brushes, you can change the way your hair looks without changing your styling tool.